This month marks a year and a half since I arrived in Berlin after a long flight from the United States. Having visited on four separate occasions, I decided this was the city I wanted to start a new life in despite not knowing the language, not having a job lined up and not having an established local support network. It was a risky decision but I saw it as a necessary one in order to reignite my creative spirit. The reason I moved to Berlin was to reinvent myself in a way. I had spent my entire adult life working in jobs that I didn’t really enjoy. I went to school for Criminal Justice because that was the “responsible” career path, then I jumped ship after a few years and switched to hospitality because it was easy money. For years, I put my passion for writing on the back burner in order to have money so that I could have things. 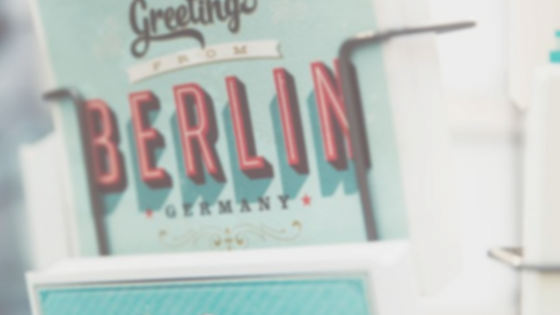 While in Berlin, my goal was to focus more on creating instead of having in a city that encouraged creative minds. Naively, I thought that it would be a breeze to find work in Berlin so I took my time. The first month I kept busy with an intensive german language course and even made a few new friends while exploring my neighborhood of Friedrichshain. I was overpaying for an Airbnb rental and had yet to apply for any jobs but I wasn’t stressed. I wanted to enjoy my new home, not spend all my time pounding the pavement looking for work. One month turned into two, two quickly approached three and then the panicking began. As an American citizen, I was allowed to stay in Germany as a tourist for three consecutive months without needing a visa. If I didn’t get a visa by the end of three months I was going to have to either leave the country or remain illegally, jeopardizing my ability to apply legally in the future. To my confusion, with each job I applied to I was told that I wasn’t allowed to work without a work permit. 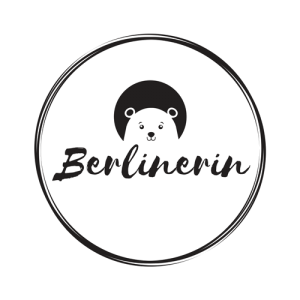 I had done my research, and discovered that there are several types of permits and visas that one can apply for in order to work and live in Berlin. So I visited the the immigration office, better known as the Ausländerbehörde, to receive a permit that authorized me to job-hunt. Proudly, I sat down with an advisor, all of the required documents in hand, ready to receive a visa. But there was a catch, if I did receive the visa to look for work I would only be able to apply for jobs directly related to the degree I received in college. A degree centered about the American justice system wasn’t going to make me an appealing candidate for creative writing jobs. It was then I realized that the four years and thousands of dollars I spent on my education was going to get me no where in Berlin. I asked the advisor if there were any other options. She politely told me, in the little english she knew, that my best bet was to find a job that sponsor my work permit. I walked out of the office completely confused. If jobs wouldn’t hire me because I didn’t have a work permit and I couldn’t get a work permit without a job, where did that leave me? For the next couple of weeks I chased my tail looking for a job, but with only basic german language skills and no in-demand professional skills, employers weren’t exactly jumping at the opportunity to hire me. After much searching, I was able to find a job doing online tutoring and another job working at an event space. As my three months came to an end I got up on a cold December morning and dragged myself back to the Ausländerbehörde. During my previous visit the woman who helped me was exceptionally kind and helpful so I went in expecting to have the same experience. Instead I was greeted with hostility and a dismissive attitude. On my second visit I was paired with a woman who wouldn’t even look me in the eye. She was incredibly short and refused to say anything in english. She took one look at the job offers I had given her and suddenly, in perfect english, said bluntly, “Sorry, but what you have isn’t good enough. You need to figure out what you want to do with your life because these job offers aren’t real work. It’s best that you leave the country and try again once you’ve figured it out.” I was completely stunned and felt incredibly defeated. Not only did I not want to leave, I couldn’t. I had just signed a contract for an apartment as it’s required as part of the visa application process to have a registered address. Just as I was about to leave the office, feeling like this woman had completely crushed all of my dreams, a comment that was made during my first visit came to me. As the advisor stood to dismiss me, I remained seated and said, “I was told that I could receive a temporary residence permit in the case that I was unable to find work within the three months of my tourist visa.” She rolled her eyes and snapped for me to go out and wait in the waiting room. A few minutes later she reappeared, shoved my papers back at me and gave me a printed residence permit until April. It was a small victory but I was still no closer to working. The residence permit was just that, it only permitted me to reside in Berlin but I wasn’t authorized to work. The Berlin based jobs that I had previously been offered were eventually filled with others who could start immediately and I was back at square one. People I met along the way offered to ask around for me and even recommended me for positions in their companies but nothing worked out. My temporary extension to live in Berlin was almost up and I had surpassed panic and was gliding into a meltdown. While discussing my situation with fellow expats, someone said that once I booked an appointment with the Ausländerbehörde I was legally allowed to stay in the country until that date, valid residence permit or not. So I made an appointment and the earliest date available was in May. Whatever job came my way, even if only slightly qualified, I applied. After several weeks, several dozen online applications, and a few panic attacks later I felt like I had enough to return to the immigration office before the end of my permit. I recruited a fellow expat who spoke fluent german to accompany me and translate. We waited for two hours and were finally called in. As soon as we sat down my coworker took charge and presented all of the documents I was told that I needed during my last visit: at least two job offers, an Anmeldung, my CV, financial documents, income projection, etc. That information had never been told me to me. With the way the woman berated me the last time I definitely would’ve remember that vital information. I was ready to breakdown and cry. I had spent all that time focusing my attention on applying for any job when I should’ve been looking for similar jobs. It felt like I had been chasing my own tail for over six month like a fool. Was Berlin trying to tell me that, even though I wanted to reside there, it didn’t want me to? I took a break from job-hunting to reconsider if all of that trial and error with the immigration office was worth it. On top of the stress it was causing, I had spent so much time unsuccessfully looking for work that it was putting a strain on the savings I had built up. More and more money, time and energy was going out but what was I getting out of it? I walked around the city, preparing to say farewell, I couldn’t help but notice a few things. The women walking around confident in their own skin, the groups of guys drinking beers and playing volleyball in the middle of the afternoon, and the kids running around the park laughing and playing. My feelings of defeat were replaced with admiration. By that time I had a solid group of friends, fell in love with my neighborhood and felt more comfortable in this foreign land than I did in the place I had lived my entire life. It may not always feel that way, but at that point, I wasn’t ready to leave. It was the place I had grown to call home and I would to fight to stay there. Determined, I returned to the Ausländerbehörde early in the morning and stood in line at the immigration office after procuring another tutoring job. Given my history, I wasn’t confident that my third visit wasn’t going to turn out any differently than the others but I tried to think positive. Then my number was called. Love this post! Congrats on your persistence 🙂 In Czechia the “foreign police” are also very difficult to deal with. Not only do you 100% need a translator (you can’t rely on the fact that they will speak English), it’s full of bureaucracy, and I have had to go back three times just to get some of their rules and needs right (things which weren’t mentioned the first time or weren’t clear on the website). Expat life is rough, but when it goes well, it’s so worth it. Thank you so much for your comment! We are happy to hear the story resonated with you but sorry to hear about the troubles you’ve experienced in your own relocation. We are glad that you persevered and hopefully everything worked out in the end! How you doing? I really like the way you write this “A Visa Tale from a Berlin Expat”. Thanks for the informative post, I learned a lot from your article. Boost Up!